A 15-week, semester-long internship program featuring for-credit coursework at a local university and placement in Congressional and corporate legislative affairs offices in Washington D.C.
Students will earn academic credit hours and gain educational and hands-on experience with project-based public policy programs. The program takes place in the spring and in the fall semester of each year. For-credit academic coursework at a local university. 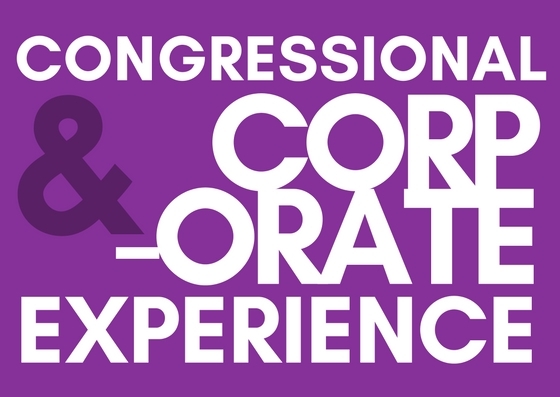 Congressional and corporate public policy experience. Monthly living and transportation stipend, housing and airfare to/from Washington, DC. Currently enrolled Juniors or first semester Seniors. All majors are strongly encouraged to apply. Must be fully available for program dates and complete the entire semester. Washington, D.C. - The Congressional Hispanic Leadership Institute (CHLI) is honored to announce that CHLI founder, The Honorable Ileana Ros-Lehtinen, will continue to serve on the CHLI Board, and that, in addition, she will chair CHLI’s “We Belong” Scholarship Campaign. Since the founding of CHLI in 2003, approximately 200 Hispanic college students have shared the CHLI internship or fellowship experience. The CHLI Global Leaders program provides hands-on experience to help Hispanic college students become future leaders. The Congressional Hispanic Leadership Institute (CHLI) 2019 Spring Global Leaders kicked off orientation week at American Beverage Association. CHLI Director of Programs & External Affairs, Juan Negron, welcomed the group and introduced CHLI's team, mission, and guided them through their 15-week long fellowship program. CHLI's Creative Communication & Marketing Manager, Michelle Archilla, spoke to the group about interacting through social media and engaging with followers throughout the semester, to share their CHLI experience. They later met with CHLI Senior Advisor, Stephen Halloway, for a conversation at The World Bank. Our Fall 2018 CHLI Global Leaders have been out and about since landing in Washington D.C. Thank you to our CHLI Global Leaders Sponsors for making this opportunity possible: Peter Villegas, Coca-Cola Foundation; Juan Otero, Comcast Foundation; Heather Kennedy, The Home Depot; John Hoel, Altria Client Services; Issac Reyes, Target; Emilio Gonzalez, Verizon Foundation; and Alberto Senior, MillerCoors. The CHLI Fall 2018 Global Leaders Have Arrived! The Congressional Hispanic Leadership Institute (CHLI) kicked off orientation week with CHLI Board Member, Patrice Webb at theAmerican Beverage Association. CHLI Director of Programs & External Affairs, Juan Negron, gave welcome remarks and introduced the CHLI team and mission. Then Global Leaders met up with CHLI Senior Advisor, Stephen Halloway, who lead the interns through a tour of The World Bank.